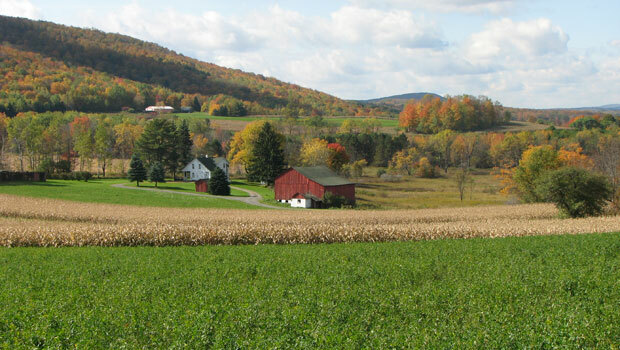 Located in the Northeastern United States, Pennsylvania has played a significant role in U.S. history. Philadelphia was once our nation’s capital so there is no shortage of historical sites in the city, including the Liberty Bell and Independence Hall, where the Declaration of Independence was signed. Cultural learning participants will get a true understanding of American history with a visit to Philadelphia. Outside major cities like "Philly" and Pittsburgh on the western side of the state, Pennsylvania also has a beautiful countryside, ski resorts in the Poconos and the Alleghenies, peaceful Lancaster County, and the Delaware River, all providing many opportunities to get outside and enjoy outdoor activities, sports and recreation. Cultural activities can also be found throughout the state, including a thriving theater scene in Philadelphia and the many art museums of Pittsburgh. To learn more about Pennsylvania and the many cultural learning activities available in the Keystone State, browse our guide below or visit visitpa.com. Independence Hall in Philadelphia. Photo by Rdsmith4. The Liberty Bell is a symbol of freedom for Americans, and now sits in the Independence National Historical Park in Philadelphia. 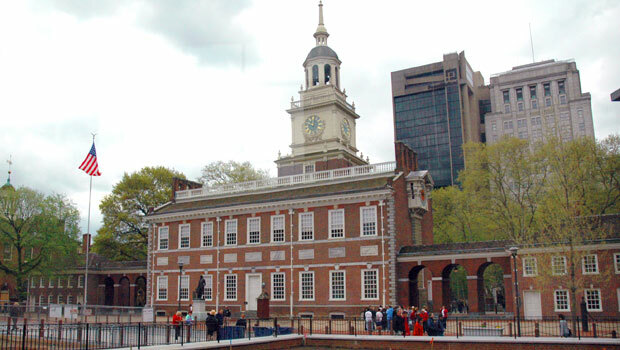 Another important site in the park is Independence Hall, the site of significant moments in American history like the adoption of the Declaration of Independence and later the U.S. Constitution. The Amish Village allows visitors to experience Amish culture by touring 12 acres of the village grounds. The Amish community has been living in Lancaster County for almost 300 years and preserves a traditional way of life. Re-enact the famous scene in the movie Rocky on the steps of the Philadelphia Museum of Art, then check out the Rocky Statue, originally created for Rocky III. Carnegie Museum of Natural History is one of the leading natural history museums in the United States. In addition to its many exhibits and collections, the museum hosts educational programs, tours and special exhibitions. Opened in the late 1800s when Pittsburgh was a major manufacturer of steel and coal for the country, the inclined railway was a transportation wonder at the time and still gives visitors and Pittsburgh residents amazing views of the city and its famous three rivers. There are two functioning inclines in the city: The Duquesne Incline and the Monogahela Incline. Visit the National Aviary to see over 500 birds from across the globe, including eagles, penguins, falcons and much more! Gettysburg National Military Park marks the site of the Battle of Gettysburg during the Civil War. The battle is often considered the turning point of the war and it inspired President Abraham Lincoln’s famous speech, the Gettysburg Address. Park visitors can take a tour, view field exhibits throughout the park or attend educational talks and lectures. In Harrisburg, the Whitaker Center for Science and the Arts has an IMAX Theater, Science Center and Performance Center to share artistic and educational activities, exhibitions and events. Learn more about historical sites in Pennsylvania. 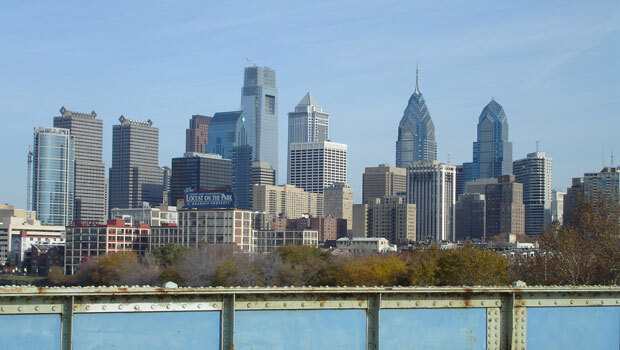 Skyline of Center City, Philadelphia. Photo by Bmoredlj. 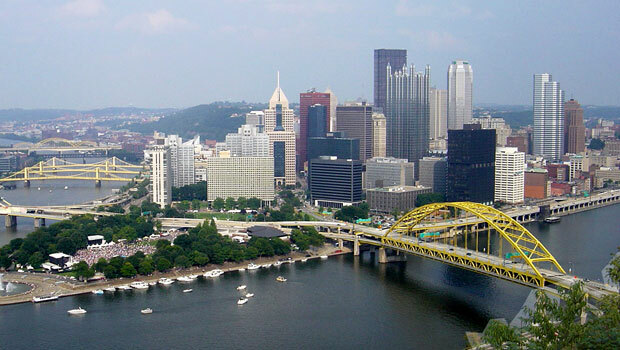 Pittsburgh has a vibrant art and culture scene, especially the downtown area of Pittsburgh. The Andy Warhol Museum is located in Warhol’s birthplace, Pittsburgh, and is the largest museum in the U.S. dedicated to a single artist. The museum displays Warhol’s paintings, drawings, films, photographs, sculptures and prints in its permanent collection, along with the work of other artists that have been influenced by Warhol. The Carnegie Museum of Art in Pittsburgh is known for its collection of American and European art from the 16th century to today. Educational programs, classes and other events are also held at the museum throughout the year. The Rodin Museum in Philadelphia has over 140 pieces of art from the French artist, Auguste Rodin, including bronzes, marbles and plasters. The Pennsylvania Academy of the Fine Arts (PAFA) has an extensive collection of American art, along with special exhibitions, tours, and gallery lectures and talks. Philadelphia has more public art than any other city in the United States. Take a walking or audio tour to see the many murals and outdoor sculptures found throughout the city. 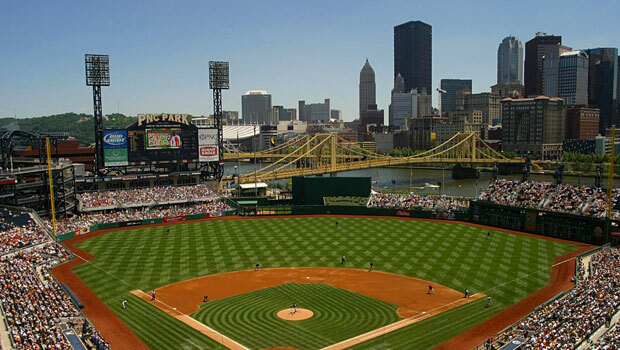 PNC Park in Pittsburgh. Photo by alpineinc. There are many sports teams (and many sports rivalries) in Pennsylvania, including professional and college-level teams. The Penn State Nittany Lions are a well-known college football team with a strong fan base. They play in one of the largest sports stadiums in the world, Beaver Stadium in University Park, PA, and have a long history of successful football seasons. The University of Pittsburgh football team, the Pittsburgh Panthers, is a popular team in the Atlantic Coast Conference. Villanova Wildcats are the athletic teams of Villanova University. Some of the leading sports teams at Villanova include men’s basketball, women’s basketball and men’s lacrosse. The Temple Owls are the popular teams of the Philadelphia-based Temple University (Bill Cosby is an alumni). Farm in Morris Township. Photo by fishhawk. Bear Creek Mountain Resort is a resort with winter and summer activities, including skiing, snowboarding, snow tubing, hiking, mountain biking and kayaking. Ski and snowboard fans can find more information on Pennsylvania ski resorts by visiting Ski PA. The Delaware Water Gap is a National Recreation Area and popular spot for outdoor activities like tubing, boating, kayaking, swimming, hiking, camping and fishing. The area attracts residents and visitors from Pennsylvania but also nearby New York and New Jersey communities as well. Pennsylvania has 18 national parks and 120 state parks throughout the state, providing many opportunities to explore the outdoors, like camping, hiking, swimming, and winter activities. Pennsylvania borders Lake Erie, one of the Great Lakes. Many outdoor activities are available on the lake during all seasons, including fishing, camping, sailing, swimming and boating. During winter, Erie experiences heavy snowfall thanks to the “lake effect” so winter activities like snow tubing, ice skating, cross-country skiing, ice fishing and snowshoeing are common. There are many fun ways to experience the great outdoors in the middle of the city, including kayaking, bike rentals or by visiting one of the parks within the city - Point State Park, Emerald View, Frick, Highland, Riverview or Schenley Park. Venture Outdoors also offers many opportunities to get outside with over 500 programs available to kids, adults and groups. Many ethnic and cultural groups that have migrated to the state have left their mark on Pennsylvania cuisine. Food in Pennsyvania include Polish, English, Ukrainian, Italian, German, African American and Scotch-Irish. For example, Italian immigrants created the iconic Philly cheesesteak, a sandwich with thinly sliced steak, melted cheese and often onions and peppers. The Pennsylvania Dutch community originally migrated from Switzerland and Germany in the 17th and 18th centuries and established a distinct culture in southeastern Pennsylvania. Their cuisine, which is still eaten today, includes foods like Chow-chow, pot pie, Scrapple, shoo-fly pie and pretzels. Find a nearby farmers’ market for fresh fruit and vegetables and homemade products. Farmers’ markets, farms, stores and restaurants that produce and sell local foods can be found at Buy Local PA. If you’re near Punxsutawney on February 2nd, don’t miss the Groundhog Day festival. Each year the public waits to see if a groundhog named Punxsutawney Phil will “predict” the weather; if he sees his shadow, there will be six more weeks of winter, but if there is no shadow, we will have an early spring. Other activities during the event include live entertainment, food vendors, cook-offs, craft sales and the Groundhog Ball. R.B. Winter State Park Snowfest in February is a celebration of all things winter, including snowshoeing, cross-country skiing, snowmobiling, winter mountain biking and ice fishing. Demonstrations and educational events are also held by park rangers throughout the day. Mayfair Festival of the Arts in the Lehigh Valley is a multidisciplinary art festival held on Memorial Day Weekend in May. Many types of artists display their work at the festival, including painters, photographers, musicians, jewelery designers and performers. Gettysburg Bluegrass Festival is a multi-day music festival held in both May and August in Gettysburg, PA. The festival includes arts and crafts, vendors, food and, of course, live music. Camping is also available at the festival. Old City Seaport Festival is a weekend-long event with a parade of tall ships, live music, vendors and activities in October. Experience American history and the October 4, 1777 battle against the British Army at the Revolutionary Germantown Festival. Battle reenactments, tours, historical costumes and food are available at the daylong event. Watch outdoor movies at the Awesome Fest Summer Series, which celebrates a favorite piece of American culture, the drive-in movie theater. The organizers show a mix of classic, independent and new Hollywood movies from June to August on a large outdoor screen - for free! See historic areas of Philadelphia and celebrate one of the most popular holidays in the U.S. at the Independence Day Parade. Many other events are also held around this time, including concerts, food events, and much more! Search for upcoming festivals and events on the Visit Philly events page. The Pittsburgh Folk Festival in April celebrates diversity and the many cultures in the Pittsburgh area with music, food, cultural exhibits, entertainment and activities for kids and adults. Three River Arts Festival celebrates performing and visual arts with free events and activities in downtown Pittsburgh beginning on the first Friday in June. The 10-day event features hundreds of local, national and international artists and musicians, food vendors, live entertainment, children's activities, and opportunities to create your own piece of art. In May, get outside at the Venture Outdoors Festival in Point State Park. The free event offers outdoor activities for kids and adults like a climbing wall, kayaking, fishing, boat tours, yoga, biking and more. Browse a guide to local festivals in Pennsylvania by visiting Festivals in PA. Downtown Pittsburgh. Photo by Bobak Ha'Eri. Many Amtrak trains run through areas of Pennsylvania, including major cities like Pittsburgh and Philadelphia. Philadelphia and Southeastern Pennsylvania is served by SEPTA, which includes regional rail, buses and trolleys. Port Authority of Allegheny County serves Pittsburgh and the surrounding areas with buses and light rail services. Public buses are available from CAT Transit in Harrisburg and surrounding areas. Visitors and residents can take a bus or trolley through downtown Erie. Volunteers of America – Pennsylvania is a non-profit organization that works across the state of Pennsylvania. Pittsburgh Cares helps individuals find the right volunteer opportunity in the Pittsburgh region according to their interest or time availability. Volunteer Center of the Lehigh Valley regularly adds volunteer listings to its website. Opportunities include on-going activities and one-time projects. Bucks County Alive is a community website that lists many organizations in the Bucks County region with volunteer opportunities. Visit the website to browse the list of organizations. Find volunteer opportunities with United Way in Erie County and help out in the local community while learning new skills and meeting new people!